It’s always nice to get recommendations for good restaurants. Find out which restaurants are this student’s favorite to eat out. shops to eat. I love eating the food in Hilo every single day. 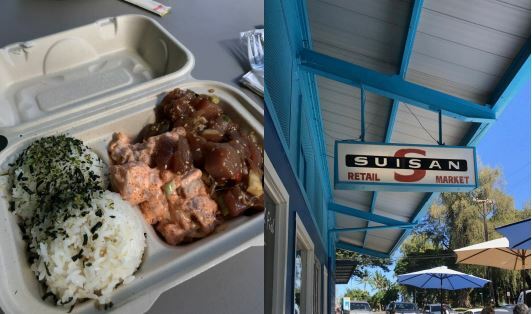 Two my favorite shops are Suisan and Hilo Burger Joint in Hilo. Suisan is a fresh fish market right on Hilo Bay. You can see the fisherman bring their small boats directly to the dock and sell their fish to the market. Shoyu, Hawaiian Shoyu, Spicy Ahi, Mix plate, and so on. We can choose flavors with rice and furikake. When I go to the Suisan, I am able to smell fish and the sea. 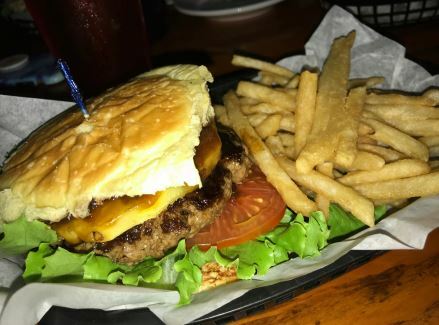 When I am in the mood for meat instead of fish., there is the Hilo Burger Joint. They also have a garlic fries that test very good. I love to share them with my friends.